Kingthong Thammawong was born on February 1, 2011. It takes about over an hour to travel from Chiangsaen District to Chiangrai Province. At Chiangsaen District, the border to Laos, they have to take boat across Khong River to Tonpieung Town. There are 5 members in the family, including Kingthong, her parents and grandparents. 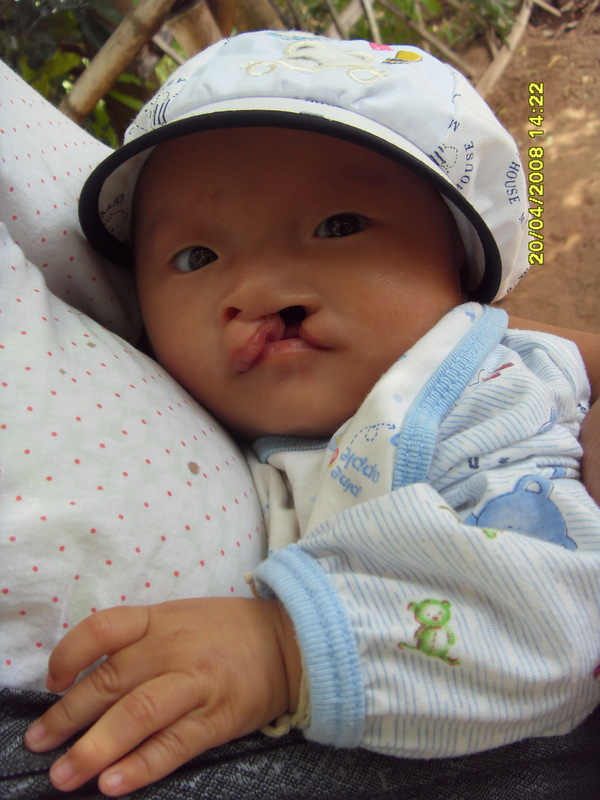 Kingthong is the only child of Mr. Somsak, an assistant anaesthetist at Tonpieung Hospital. 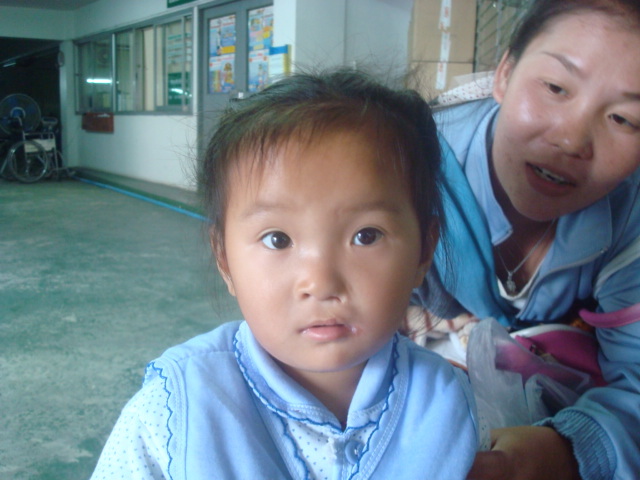 She received a cleft lip repair May 12, 2011 and our team visited her after surgery. 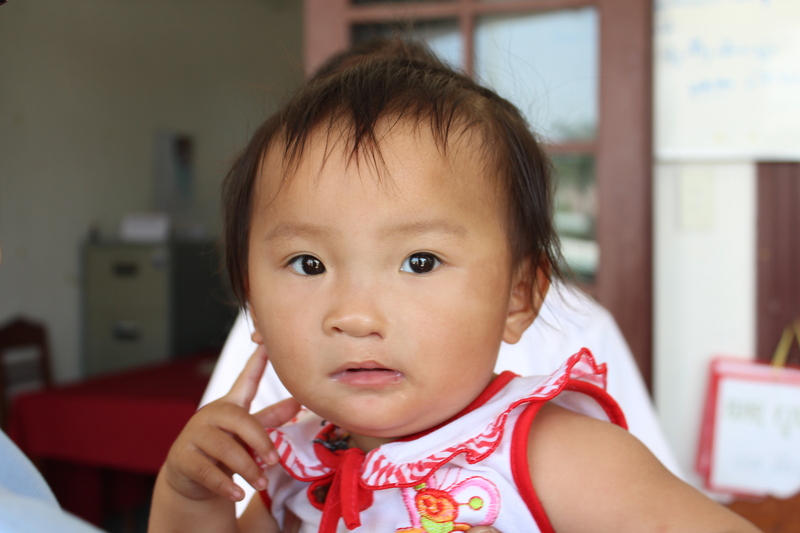 Also, our mobile team provided initial stimulation for speech and language development at Tonpieung Hospital. 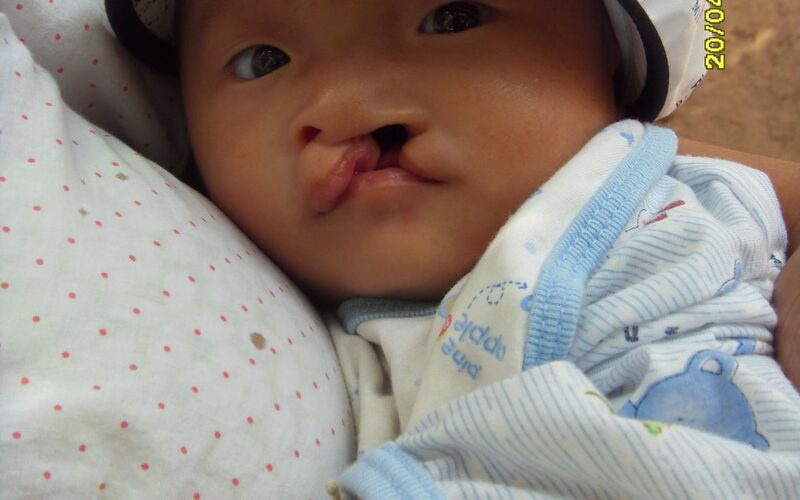 Her cleft palate was repaired on July 26, 2012. She has also received follow-up care, such as ear, dental and speech assessments. She will undergo further nose surgery in future. On her first birthday, top, with her father in October 2012, at her speech assessment in December 2012.